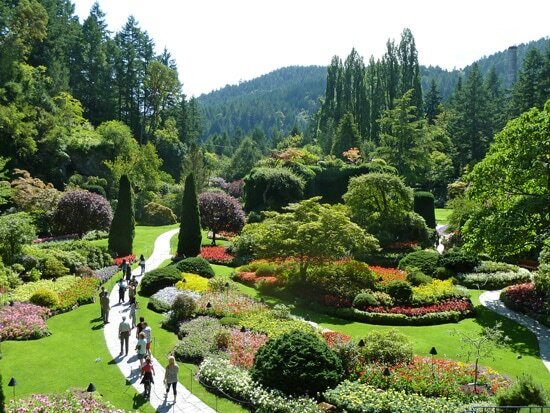 Butchart Gardens - designated a National Historic Site of Canada and receive over a million visitors each year. Essentially a floral show garden rather than a Botanical Garden. Over a million bedding plants in some 900 varieties and 300,000 bulbs provide continuous blooms between March and October. The gardens were developed in an old quarry and cover occupies approximately 5.26 hectares. Located 21 kilometres north of Victoria, British Columbia. University of British Columbia Botanic Garden - Canada’s oldest university botanic garden. Now over 100 years old, it was established in 1916 with the aim of better understanding the native flora of British Columbia. Its current mission is to assemble, curate and maintain a documented collection of temperate plants for the purposes of research, conservation, education, community outreach and public display. Covers 44 hectares / 110 acres. Includes over 8,000 different kinds of plants. Approximately 120,000 plants represent some 6,000 taxa with significant collections of Magnolia, Acer (maples), Sorbus (mountain ash, Styracaceae (storax family), Rhododendron and climbing plants. It includes a native plants garden, a food garden and a physic (medicinal) garden. 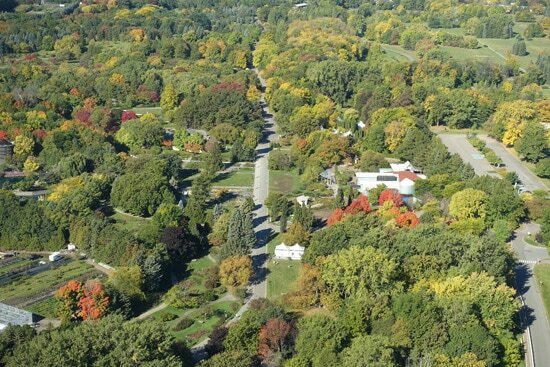 Montreal Botanic Garden - Founded in 1931, it is located opposite the Olympic Stadium. In a space covering over 75 hectares, it comprises 22,000 plant species and cultivars, 10 exhibition greenhouses, some 30 thematic gardens and the Frédéric Back Tree Pavilion. It includes a First Nations Garden, a Toxic Plants Garden and a Medicinal Plants Garden. It also includes an extensive Library of botanical and horticultural publications. This is a map of the garden.